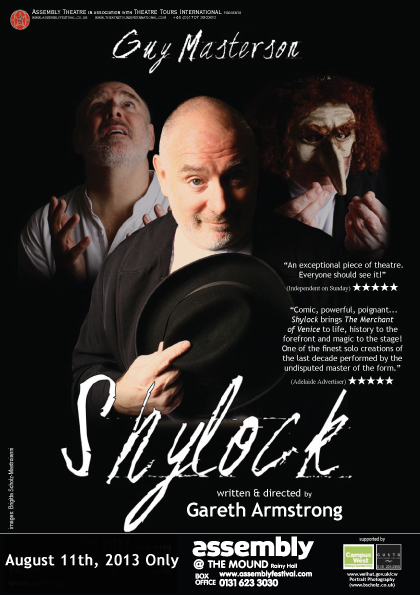 Our 18th Fringe was our smallest to date with Guy Masterson presenting only his new production of SHYLOCK. The show was co-produced by Assembly Theatre and regularly attracted audiences over 200. Guy Masterson was again nominated for The Stage Best Solo Performance.